Small-scale agriculture is the main livelihood of the majority of the world’s rural poor. Smallholder farmers in the global South play a crucial role in maintaining biodiversity, as well as contributing to food security in their countries. However, they need to be connected to markets to see sustained rises to their incomes and food availability. Smallholder Agriculture and Market Participation discusses the evolution of policies for smallholder development, including the role of value chains. Poor farmers face steep barriers to participation in different types of markets, including the lack of financing, and the unwillingness of commercial finance organizations to lend to remote, dispersed, small-scale farming households. Newer, innovative financial mechanisms and linked initiatives are outlined, and their potential to improve the availability of financial services and reduce market transaction costs. Risk management for agricultural smallholders is covered, together with the increasing role of insurance as a mechanism for risk management among smallholders. Empirical data are used to illustrate the more conceptual work. 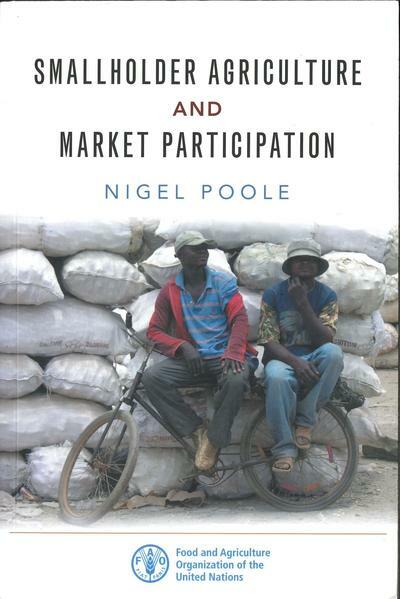 The last part of the book provides case studies of selected commodity value chain investments involving smallholders in Africa (Ethiopia, Tanzania and Zimbabwe) and South America (Peru), implemented by FAO. The lessons concern project design and targeting, product and market analysis, regulatory issues, sustainability and improved natural resources management. The final chapter draws conclusions addressing the earlier themes of the book. This book should be read by researchers and students of agriculture, agriculture economics and international development as well as policy makers within government departments and international development agencies.